Check out our sophisticated elegant collection of accessories. 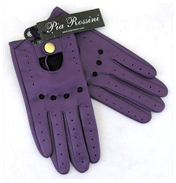 From soft gentle faux cashmere fabrics and soft stretchy velvet velour materials to the very best in luxurious Napa leather Italian gloves. The perfect match to any winter outfit, so come on ladies, simply make your selection to complete your ensemble! Plus they are a great way of keeping cold hands elegantly warm! Both Anouska & Sasha come with co-ordinating pieces - Anouska has an available matching hat and Sasha has matching hat & scarf - making ideal gifts!